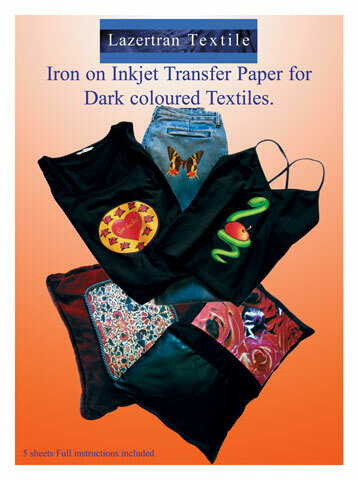 This inkjet decal paper was specifically designed to transfer images to textiles. It does not need to be sprayed with a cover coat like other inkjet waterslide decals, and the inks become waterproof after 30 minutes allowing the decal to be put in water without the colors washing away. Each pack contains five 8-1/2" x 11" sheets for either light or dark textiles, depending on the pack.